Malayalam superstar Mohanlal secured the 3rd position while Telugu legend Nandamuri Taraka Rama Rao (NTR) was placed at the top. Kamal Haasan has secured the second place in the poll. Among the actresses, Sridevi bagged the first place.To celebrate 100 years of Indian Cinema CNN-IBN conducted a poll for selecting The Greatest Artists of All Times in Indian cinema. Of the total votes, 53% favored NTR followed by Kamal Haasan with 44%. 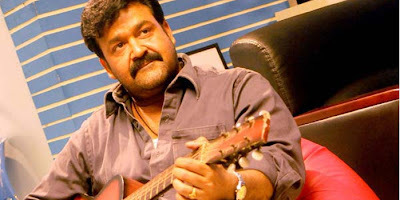 Mohanlal and Raj Kumar managed 1% and the rest of the actors got less than a percentage of votes. Sridevi who got 39% votes, recently made a strong comeback with ‘English Vinglish’ in which her performance was highly appreciated. Madhuri Dixit and Savithri finished second and third respectively with 16 and 12% votes. Talking about India’s greatest films Mani Ratnam’s Nayagan, starring Kamal Haasan tops the list with 42% of votes. While Ramesh Sippy’s Sholay got second place with 29%, Adoor Gopalakrishnan’s Swayamvaram came third with 6% votes. Mughal-e-Azam and Pather Panchali got 5% votes each. Among the directors, Mani Ratnam was selected as the India’s greatest director of all time with 29% votes. The noted director of Tamil films K Balachander came second with 18%, while Satyajit Ray was placed third with 14% and Tamil director S Shankar came fourth with 9%. Music maestro Illayaraja is voted as India’s greatest music composer with 49% votes. He is followed by Oscar-winner AR Rahman with 29%. Singer-composer SP Balasubramanyam finished third with 7%, while the late RD Burman garnered 4% votes.